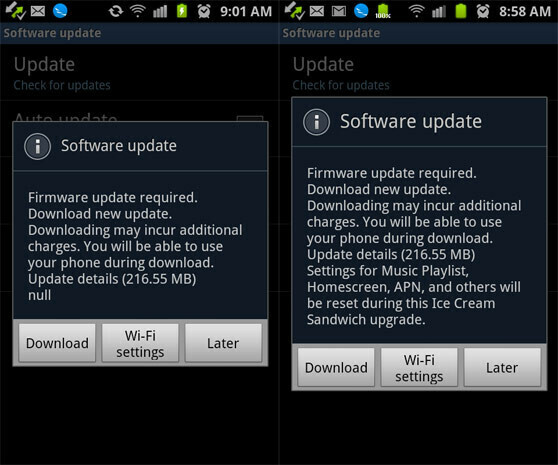 The Ice Cream Sandwich update for the Samsung Galaxy S II made its debut in several countries, including Poland, Hungary, Sweden, and Korea, back in March. Taking that into consideration, U.S. Galaxy S II owners might be wondering when they can expect to get their scoop. Well there is a little bit of good news for some US Galaxy S II owners this morning. 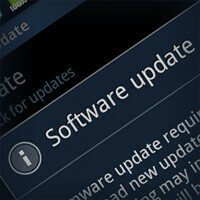 People in the US who have unlocked Galaxy S IIs have begun to see an OTA update available. We must specify that by unlocked, we mean the international, non-carrier branded version of this phone. While a few owners have reported that they were able to update their unlocked Galaxy S II in the U.S. manually via Kies for a few weeks now, this is the first time we have seen reports of the OTA update taking effect. For those of you with unlocked Galaxy S IIs here in the states, you should get an alert very soon, or you can go to Settings and manually check for an update. by reboot glitch....do u mean random restarting even when doing nothing on it??? and did the update boost the battery?? I guess what @cellieCell meant to ask if you are with any particular carrier. I have the i9100 and still havent seen any update. Do oyou have the same device or do you have the US variations? I dont think samsung handled the updates well at all.